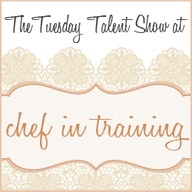 Hello and welcome back to another round of the Tuesday Talent Show! I am so happy to have you here! Thanks so much for hosting, Nikki! Have a wonderful week! Thanks for another fabulous party!! Hope you're having a great week! Ahhh!! 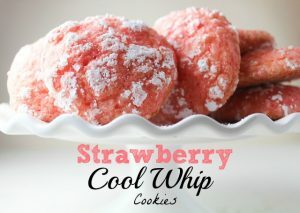 I literally jumped for joy when I saw my Strawberry Cool Whip Cookies were featured this week!!! Thank you SO MUCH!!! And thank you for hosting each and every week, Nikki! You are awesome! xoxx! Hi Nikki! It's my first time linking up, ekk so excited!! I am your newest likes on facebook, following from my personal page and my blog's page! YAY!!! I finally remembered party day!!!! So I talked to Eli, and we decided that when the weather calms down a bit we will take a day trip up there!!! Me and Emma can spend the day with you, and he can spend the day with his nephew! I HOPE YOU ARE SO EXCITED!!! I AM!! Thanks for hosting Nikki!!!! hope you're having a good week! Thanks for hosting. Happy to link up again. Thank you so much for hosting. Have a great week!! Would love for you to come by. Thanks for hosting, Nikki! 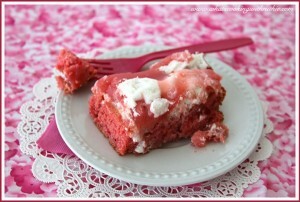 All of the strawberry desserts looks delicious, especially with Valentines around the corner! 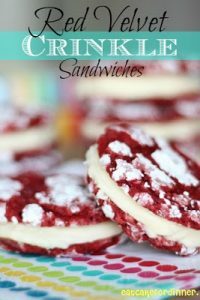 I linked up a really easy and healthier chips and dip recipe I think would be fun for SuperBowl parties!! :) Have a great week. Thanks for hosting! Great Party! ooooh! 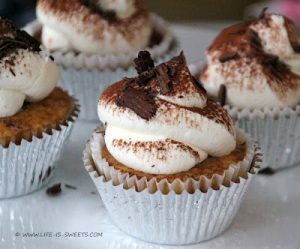 those tiramisu cupcakes look grand!!! i've linked up my recipe for oozy cheesy baked breadcrumb'd roasted butternut squash and cauliflower. that's a mouthful! and it was. yum yum yum! 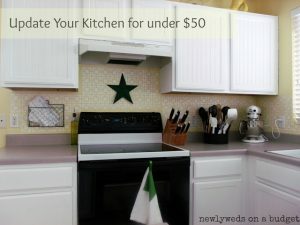 Thank you so much for featuring my under $50 kitchen transformation! Such a fun surprise! Thanks for hosting =) this is such a great party!